so, again we are here to direct you on Linux, we are following our one main motto that is, providing proper coverage about Linux and also guiding beginners about it. we recently posted few topics, which might have given you proper knowledge about Linux, if you haven't read that all then here are few. 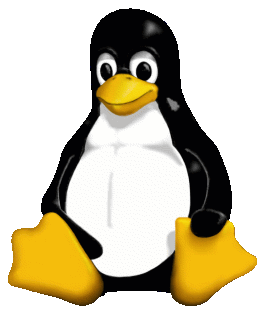 Using any Linux distro is not a rocket science, with basic knowledge and basic information about Linux and the distro, that you are using(or going to use) is the primary need. There is a myth about Linux that its so hard to use and can't be used by common user. Were all things known to you already when you started using Windows? No? Yes, your answer would must be NO, I believe. So same goes with Linux, the beginners when tries Linux just after few days, they used to remove Linux instantly. Why? Either way you lost your interest (basically new users tries to search same features as they got on their previous one) or you are getting it hard (same reason goes as previous). You need little patience and interest as you used to show for anything new. Linux is real power house. whether we are talking about robust features with security OR stability and wide range of possibility. Linux can be used from oldy-goldy system to superfast super computers. Most of hardware are supported in it without any requirement of drivers, just connect your hardware and you are done to use it. Whether it's your mobile for tethering and file sharing, datacard, modem or it's your printer, scanner. Don't think that Linux don't have any kind of customization. You have a variety of options to get a new feel and new look, whenever you get bored! like say Unity, Gnome, Cinnamon, Xfce, KDE, Enlightenment etc. Yummy :p And also there are few tools available to tweak it little more like “Unity Tweak Tool”. Most of DE (DESKTOP ENVIRONMENT) are there always installable and downloadable right from your terminal! Only at the time of new releases i have noticed a few bugs but doesn't go on big stage, only a little and it instantly gets fixed after few days or week in new Updates. So now it is also one of the most amazing thing what me or any user can get and feel. Linux is the most secure OS available. There is no entrance for virus, malwares, key loggers, rats, trojans etc. So for me its biggest of plus points, I am not only saving my personal data getting at risk but also saving money of premium Antivirus, Internet security, System error fixers etc. So Here comes interesting thing that its Open source. So it is free to use means no cost. You can get the source code and can modify and distribute it under GNU license, it's the benefit of open source. Softwares Availability:We have most of important software available for Linux. Yes, we have not a wide range similar to windows, but important software of basic needs is a sure available part. We have “synaptic package manager” available for downloading required software and packages. we can also get the source code of the open source software. What about my windows's software and games? You just need to install a program named WINE. you are done, you install most of software and games of Windows in Linux. Now we entered the place where our journey will start. Different distribution companies provide different distros with different features and GUI. All distro companies verifies the features according to users need. Compatibility is something what varies mostly. You may notice some distros are('nt) supporting HARDWARES or SOFTWARES, which are in some or none. So now it comes to you to firstly check perfectly the compatibility of hardware or software, you have or will have. You may choose according to your needs. We have a list to select from available distros. I have a list of some famous distros, they are like UBUNTU, MINT, FEDORA, DEBIAN etc. For newbies I will recommend to use Ubuntu or Mint. For this part,we have already discussed about different ways of installing Ubuntu. 1st step: Just make your bootable media like bootable CD/DVD or How to make a Bootable USB drive without DOS? 2nd step: Now as you are a newbie so try How to install Ubuntu using wubi? Congrats you successfully installed Ubuntu or say Linux. Now i will introduce you with features of Ubuntu,Software installation,Customization,Terminal use and lot more in PART 2. If you have any question then just comment below and please like & share this and other posts on Facebook,Google plus and Twitter.